Srikanth Chakkilam, Chief Executive Officer of Cigniti wins “CEO of the Year” Award for 2018 at the Future Leaders Summit & Awards 2018. 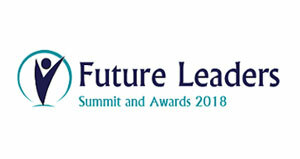 The Future Leaders Summit & Awards recognize and honor remarkable leaders for their continuous commitment to excellence, developing best practices, and innovative strategies. The Future Leaders Summit have the best minds coming together under one roof to laying out the blueprint for successful leadership. From practical tips to innovative strategies, summit is designed to teach and provide leaders with directly related, easily applied tools and techniques that can be implemented into corporate culture to build future leaders. Srikanth, responsible for developing the company strategy to be in-line with the vision, mission and the values of the organization, is a great believer in building a sustainable forward thinking organization with a binding principle called Work=Play. He is focused to build a highly successful, and impactful business in all forms. Cigniti has emerged as a winner of the prestigious CEO Report Philadelphia 2018 Velocity 50 Award for 2018. 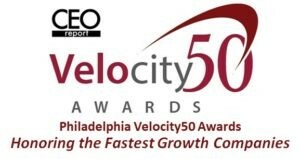 The Velocity 50 Awards are CEO Report’s most prestigious awards program of the year, honoring the region’s fastest growing companies. The award signifies that we have experienced exponential growth over the past three years and are well positioned to keep doing just that, and that our determination, dedication and drive towards continued success will impact the regional economic landscape for years to come and serve as an example to others. SmartCEO recognized Gallop Solutions with the 2017 Future50 Award. Philadelphia SmartCEO and Headline Sponsor Comcast Business honored the 2017 Future 50 award winners at an awards celebration ceremony on Tuesday, January 17, 2017 at Drexelbrook. Gallop was recognized for its ability to achieve fast growth, which was determined by deriving a three-year average of employee and revenue numbers. 40 Under 40 Award 2016 by Philadelphia Business Journal recognizes 40 individuals, under the age of 40, who are proven performers in their respective industries and communities. These dynamic leaders have shaped our community in ways that have made greater Philadelphia a better place to do business and live. The BEST EMPLOYER BRANDS AWARD were hosted by Employer Branding Institute & World HRD Congress with CHRO Asia, as a strategic partner & endorsed by Asian Confederation of Businesses. These award was presented on 18th December, 2016. Mr. Karuna Kumar Vempala, Head-Talent Acquisition received the award on behalf of the Company from the eminent leaders such as Dr. R L Bhatia, Founder World CSR Day & World Sustainability, V Rajanna, VP-HR at TCS and others. The award has been conferred to Cigniti for being a Social employer, for Employer branding initiatives, Talent branding initiatives, Consistent employee driven/friendly policies, Innovative Recruiting strategies and other initiatives. 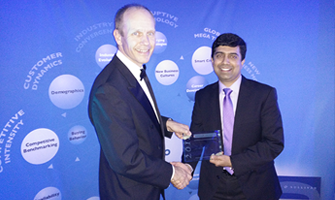 Cigniti Wins 2015 Business Today BEST SME Award for Global Excellence. 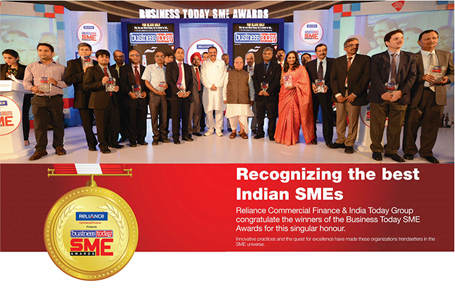 as designed by Business Today to analyze trends and best practices, and to recognize and reward achievers, innovators and enablers who have played a pivotal role in promoting and supporting SMEs in India. The survey was carried out for micro (enterprises with turnover up to Rs.100 crores) and small (enterprises with turnover from Rs. 100 crores to 250 crores) and mid-sized (turnover from Rs. 250-500 Crores) Awards were given to exceptionally performing SMEs across varied sectors along with special awards for Social Responsibility, Innovation and Woman Leader etc.The winners were be determined through a robust two step selection process, on the basis of information received through the application form and from publicly available sources.Short-listed nominations were then presented to an Independent Jury for determination of winners. The selected winners were felicitated at a Special Awards Ceremony. Grant Thornton was the surveys process validator. Cigniti has been awarded “Customer Value Leadership Award” in “Automated Software Testing Services” by Frost & Sullivan at the “2015 European Growth, Innovation and Leadership Awards Banquet”. Cigniti won this prestigious award for the second time – 2014 for North America and 2015 for European markets. Our consistent focus on delighting customers supported by outstanding delivery capabilities was recognized by Frost & Sullivan through this award. Gallop Solutions emerged as the winner of the Philadelphia SmartCEO’s Cornerstone Awards 2015. This is a prestigious recognition provided by Cornerstone to businesses headquartered in the communities surrounding Baltimore, Philadelphia and Washington. The cornerstone award signifies the positive impact achieved by Gallop Solutions with respect to its growth plan, job creation/retention, and by periodically sponsoring events in the software testing community in these areas. Cigniti Technologies has been recognized as the ‘Fastest Growing Company in Asia’ in Forbes Asia Best Under a Billion Forum 2014. 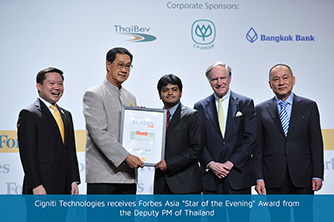 The award was conferred upon by the Honourable PM of Thailand in the presence of Christopher Forbes and other dignitaries. Forbes had screened more than 17,000 publicly traded companies in the Asia-Pacific region to select the 200 companies among which Cigniti Technologies stood out for its technology innovation. The Award has been made even more prestigious with only 8 companies in India being selected for this award. 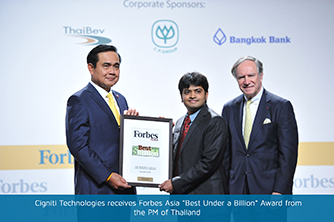 Forbes Asia’s “Best Under A Billion” list highlights 200 of the best small and midsized listed companies in Asia Pacific with annual revenue under billion. To qualify for the selection, companies must have revenue between million and billion, positive net income and be publicly traded for at least a year. Qualified candidates are screened on sales growth, earnings growth and return on equity. 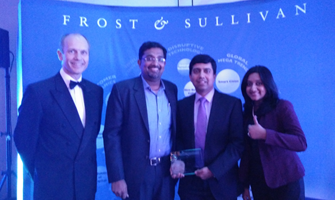 Cigniti is chosen as the worthy recipient of the 2014 Global Frost & Sullivan Customer Value Leadership Award Automated Software Testing Services. In a span of 15 years, Cigniti has earned a distinguished name in the Automated Software Testing Services market globally. Competing with a few prominent market leaders in an aggressively competitive scenario, the company has ideally devised a customer-focused delivery approach to surpass end user expectations. Frost & Sullivan’s independent analysis of the Automated Software Testing market clearly shows that with a strong resource pool and world-class infrastructural facilities, Cigniti has been distinctly marked for its supreme product and service delivery. The company has been proactive in redefining the software testing space with its leading-edge customer-handling expertise and succinct skills in understanding the depth of customer requirements. Ultimately, growth in any organization depends upon customers purchasing from your company, and then making the decision to return time and again. Everything is truly about the customer—and making those customers happy is the cornerstone of any long-term successful growth strategy. To achieve these dual goals (customer engagement and growth), an organization must be best-in-class in three key areas: (1) take into account what your competitors are, and are not, doing; (2) meet customer demand with a comprehensive, value-driven product or service portfolio; and (3) establish a brand that resonates deeply with customers and stands apart from other providers. To achieve best-practice levels in brand, demand, and positioning is a rare and significant accomplishment, and that is why Frost & Sullivan celebrates it with the Customer Value Leadership Award. Recipients of this award represent the top ten percent of their industry: the other ninety percent just can’t keep up. 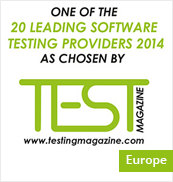 Cigniti Technologies is Highly Commended in the Best overall testing project (Retail Sector) award category at TESTA 2014. 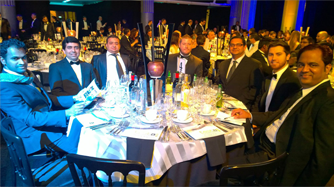 2014 European Software Testing Awards ceremony was held in central London on 18th November. 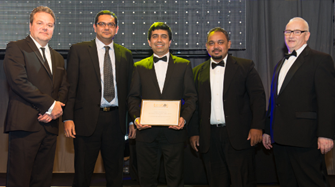 Hundreds of software testing professionals donned their evening gowns and black-tie suits to honour and celebrate companies and individuals who have accomplished outstanding achievements in the software testing and quality assurance market. Cigniti joins the elite club of organizations who have successfully undergone the audit for SOC 1, SOC2, and SOC3 in the independent testing services space! This success stands testament to Cigniti’s dedication and assures control over the security, availability and processing integrity of the systems used by a service organization. Service Organization Controls (SOC) reports are designed to help service organizations, organizations that operate information systems and provide information system services to other entities, build trust and confidence in their service delivery processes and controls, through a report by an independent Certified Public Accountant. Each type of SOC report is designed to help service organizations meet specific user needs. Gallop Solutions has been included by the globally acclaimed Staffing Industry Analysts (SIA) in their prestigious List of Diversity Staffing Firms for 2015. This list is highly valued by the global buyer community when looking for new staffing companies to work with. Gallop Solutions has been featured among Top 25 Promising QA/Testing Services Vendors by Outsourcing Gazette. They have also featured Kalyana Rao Konda, President, Gallop Solutions in their magazine CXO Insights. In the article titled ‘Not betting on IP-led software testing can be disastrous’, Kalyan mentions how the IP-led IT Services age has begun and each functional area strives to use Agile and other best of breed solutions and practices leveraging a proprietary fusion of expertise and experience, to deliver exponential growth and value. Gallop Solutions has been featured among Top 25 Promising QA/Testing Services Vendors by Outsourcing Gazette. They have also Greater Philadelphia Alliance for Capital and Technologies (PACT) has featured Quicklean, the World’s first automated solution for UFT to HP LeanFT Migration by Gallop Solutions in its Quarterly newsletter for Gallop’s latest innovative tool in the field of Software testing. 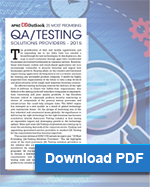 APAC CIO Outlook, in its current edition, recognised “25 Most Promising QA Testing Solutions Providers in 2015.” This list highlighted Cigniti Technologies as the 25 Most Promising QA Testing Solutions Provider in the industry and leads the QA space with unparalleled year on year growth of 50 percent on an average. Cigniti’s Annual Report 2012-13 has been listed in the Top 400 Annual Reports by ReportWatch. Cigniti was ranked 293 among the world’s top 400 Annual reports and was the highest ranked among the Indian companies listed in the report.